This verse describing a county Kildare involvement in the Easter Rising, 1916, was penned by Matthew Maguire one of 15 Irish Volunteers that marched from Maynooth and joined the GPO garrison on Easter week. The Irish Volunteers were formed in Dublin under the leadership of Eoin Mac Neill in November 1913. Their aim initially was to support the implementation of Home Rule and to oppose attempts by the Ulster Volunteers to prevent the measure from coming into force. The secret Irish Republican Brotherhood [IRB] were prominent in the movement and gained control of the executive. Branches subsequently spread very quickly throughout the county. The volunteers entered the college and held a meeting with the President Monsignor J. Hogan who unsuccessfully advised them against taking part in the rising. 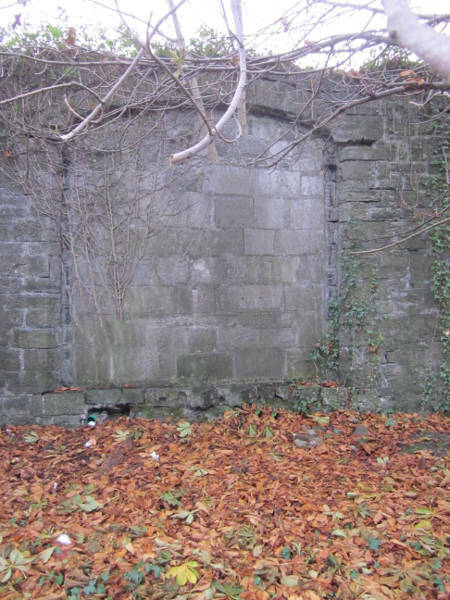 When his advice fell on deaf ears he gave them a blessing although it was not regarded as his blessing to participate.15 The group left by the College Canal entrance, which is now closed up and proceeded by the Canal towpath to Drumcondra. Having spent the night in Glasnevin Cemetery they managed to march on an unguarded route to the GPO where they were given a rousing reception and welcomed by both Pearse and Connolly.16 They were the only company from the country to successfully get into Dublin and join the rebels in Easter Week. The Maynooth Company were engaged in heavy fighting throughout the week and there are many stories of their participation and various encounters. It is recorded by some sources that Joe Ledwith was the last man to leave the GPO before the roof collapsed.17 Two of the group, Ted O’Kelly and Tom Harris, were wounded in the fighting. Following the surrender four volunteers escaped. Three of them Joe Ledwith, Pat Weafer, and Jack Graves returned to Maynooth and were promptly arrested, court-martialed and sentenced to two years in prison.18 Tom Byrne was the fourth rebel from the group to escape and he subsequently avoided capture.19 Ted O’Kelly when his injuries were healed escaped from Jervis St. Hospital assisted by his aunt who was a nun on the staff of the hospital. She was a member of the Cullen family from Greenfield, Maynooth. Included among the Maynooth participants were the company captains of both the Irish Volunteers and the National Volunteers and also the captain of the local Gaelic football team. Various individuals from the contingent were also prominent in local groups such as the Maynooth Bass and Reed Band and the Gaelic League. Main St., Maynooth. 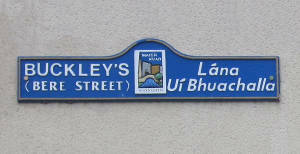 Domhnall Ua Buachalla’s shop and Buckley’s lane is marked by the arrow; Maynooth College can be seen in the foreground. Within weeks of the rising and particularly following the executions the mood of the country had changed. A gradual release of the prisoners began by the late summer and by Christmas all the Maynooth detainees and prisoners had been released. Four county Kildare companies Maynooth, Athgarvan, Kill and Naas together with Dunboyne in county Meath mobilised for duty on Easter Week but only the Maynooth Company successfully made it to Dublin. 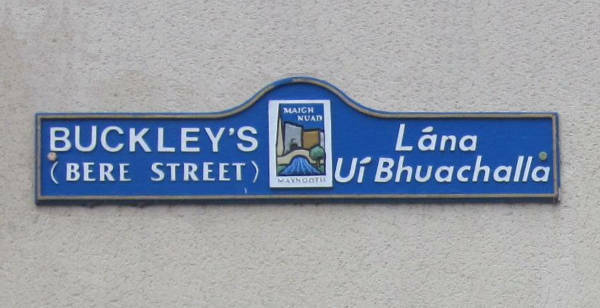 The incident on Easter Monday on the Main Street Maynooth involving Ted O’Kelly and two members of the RIC was the first armed rebel incident in county Kildare since 1803. The 1803 incident occurred when Maynooth rebels loyal to Robert Emmet fired on a mail coach at two locations on the main street in the town.21 There had been no armed incident in county Kildare in 1848 and 1867 when attempted rebellions occurred in the country. 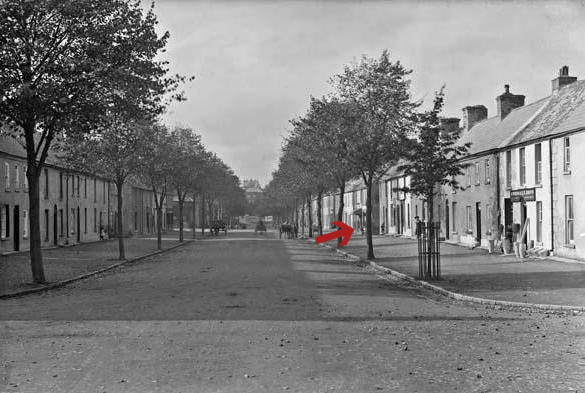 It is ironic that between the 1798 rising and the first violent incident of the ‘War of Independence’ in county Kildare in January 1920, there were only two violent rebel incidents and both occurred in Maynooth carried out by local rebels. The Maynooth Volunteer Company including Thomas McGee and Patrick Ledwith who had been absent at Fairyhouse and also the Kenny Brothers all played an important part locally in the ‘War of Independence’.22 McGee served as Captain of the company during the period with Tom Mangan, serving as First Lieutenant. Patrick Colgan for most of this period served as Commandant in charge of the Kildare Battalion. 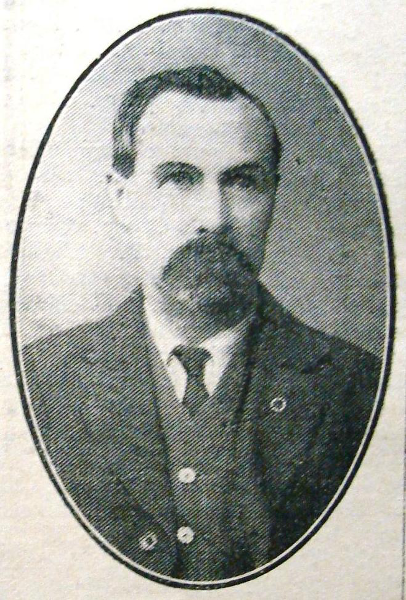 Domhnall Ua Buachalla played a leading part in the political struggle during the period serving as a TD and Chairman of Kildare County Council. One of the forgotten figures of the Maynooth contingent was Tim Tyrrell. His fight in the militant side of the struggle that began on Easter Monday 1916, only ended on 1st December 1922 when captured by the Free State Forces during the Civil War following an encounter at Pike Bridge. He was the last of the Maynooth GPO men to be freed from prison for political activity when he was released on 7th June 1924 more than 8 years after the Easter Rising. The Maynooth 1916 monument sited in the Town Square. Published in Maynooth Newletter, Number 85, 1984; Matthew Maguire, Crew Hill, Maynooth, his prisoner numbers were as follows: at Frongoch 1435; at Stafford A 2/1 and at Wormwood A3/21. Bureau of Military History Witness Statement [WS] 194, Domhnail Ua Buachalla; WS 850, Patrick Colgan. WS 1155, Michael O’Kelly; WS 1531, Michael Smyth. WS 194, Domhnall Ua Buachalla. WS 850, Colgan was informed by Fr Malachi Eaton a Junior Dean in the College. See website, Duleek Hunger Strike Monument. WS 194, Domhnail Ua Buachalla; WS 850, Patrick Colgan. WS 850, Patrick Colgan; WS 320, Thomas Harris. County Inspector RIC monthly report, May 1916. WS 850, Patrick Colgan; one other member of the company that mobilised on that occasion sought permission to withdraw and this was given. 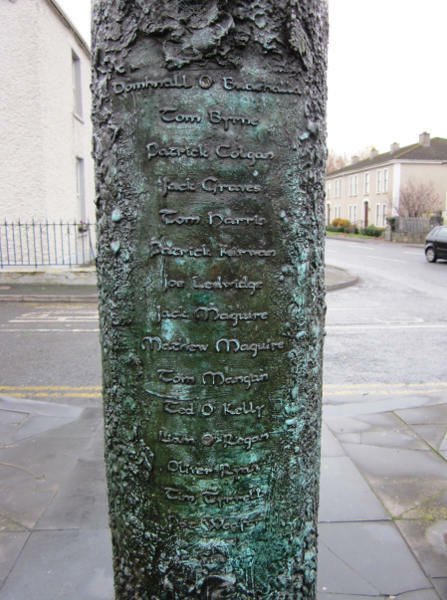 See details in Seamus Cullen, The Emmet Rising in Kildare (Dublin, 2004). Also taking a leading part in the ‘War of Independence’ were the O’Neill brothers Mick and Diarmuid who were members of the Maynooth Company in 1916. They lived at Weston 6 miles from Maynooth and did not mobilize for the Easter Rising. However, their absence was no surprise due to the distance between their residence and the company base and also confusion over the countermanding order.